Expeditionary Mission Command unveils their capstone project after three long years, which includes how they are aiming to lighten soldiers' loads on the battlefield. ABERDEEN PROVING GROUND, Md. — As the Army looks to shrink its battlefield footprint, its researchers and engineers are finding ways to make the nerve center of the battle — command posts — lighter, more capable and easier to set up and tear down. A recently concluded three-year program aimed to do just that, with everything from the shelter devices used to house a command post’s gear, to refitting old and new vehicles, to moving an entirely vehicle-mounted communications system off the truck and into the ruck, cutting its weight by two-thirds in the process. 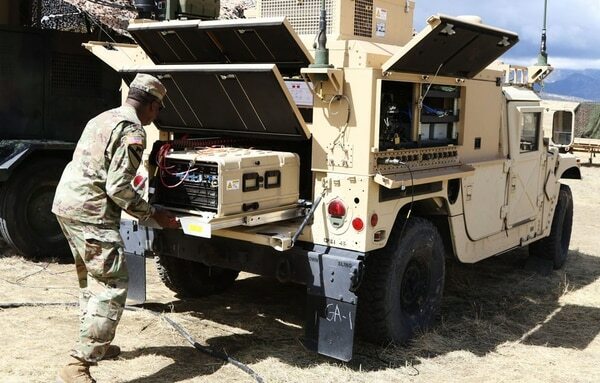 These are some of the ways that experts with the U.S. Army Research, Development and Engineering Command’s Communications–Electronics Center are finding to make command posts more mobile, resilient and effective against enemies that can quickly target and destroy massed formations. A surveillance system that came into the Defense Department’s inventory at the outbreak of the Iraq War is set to see major upgrades that will help scouts better identify targets and conceal themselves when finding what to shoot. 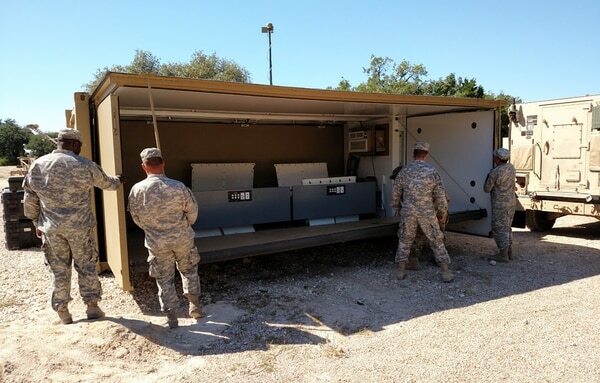 Some of the advancements include the Expeditionary Command Post shelter, a 20-foot box with integrated power outlets, air conditioning, network cabling and video distribution system. It’s containerized so that it can be hauled on a truck or sling loaded under a helicopter. 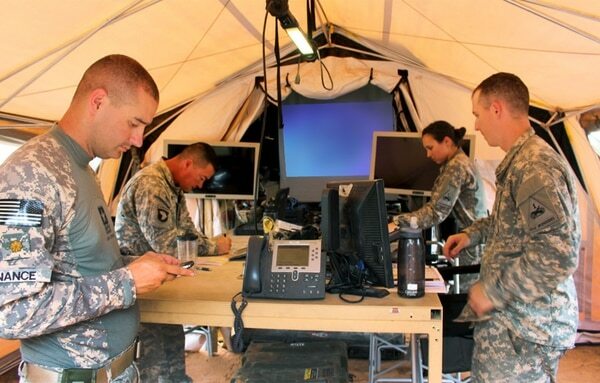 A four-soldier team can set up the structure within 30 minutes as the remaining command personnel hook up the computers, radios and other devices inside of the structure. Jim Bell, operations expert with RDECOM, told Army Times that soldiers with the 1st Armored Division’s 2nd Brigade Combat Team set up the shelter in those time frames during field exercises. And during an experiment at Fort Hood, Texas, soldiers moved the shelter with a CH-47 Chinook helicopter. An even more mobile option that researchers have put together is the Light-Mobile Command Post, a pull-out table and tent combination that is installed in the back of a Humvee. It includes fixed TV monitors, built-in radio networks, cabling and computers. The system was designed primarily for light infantry units, but a similar configuration has also been installed on tracked command vehicles for armor units. This post can be voice comm and position location tracking operational within 15 minutes and fully operational in 30 minutes. Another Humvee-based answer to mobile command is a reconfigured command and control vehicle dubbed the Command Post Platform–Improved. It has a built-in power and cooling system and spots for two cases containing the capacity for six computer servers, enough to run a brigade’s worth of data. The setup includes seven radio nets, HF, UHF, VHF and SATCOM, and links for fiber optic, standard and secret lines of communication. A small but important feature allows the user to power the systems from either vehicle or external power. The system also has a 15-minute power backup so that the servers can continue to run as power is switched. 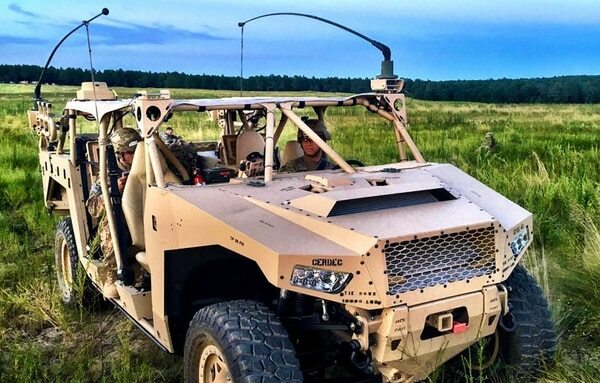 Beyond a structure or tent solution, researchers have also outfitted small and mid-size all-terrain vehicles, specifically the Polaris MRZR. The focus of these is to provide airborne or air assault operations with a full-fledged command post in a smaller package. The smaller MRZR uses a modular system that can be pulled and reinstalled quickly into another vehicle, should the ATV be disabled. And it has an extra-powerful alternator that can produce 120 amps, double the amperage of a Humvee alternator. It also includes a first-ever all-around handset that can plug in and communicate whether the speaker is using radio, Voice over Internet Protocol or VOIP, and other computer-based voice applications. 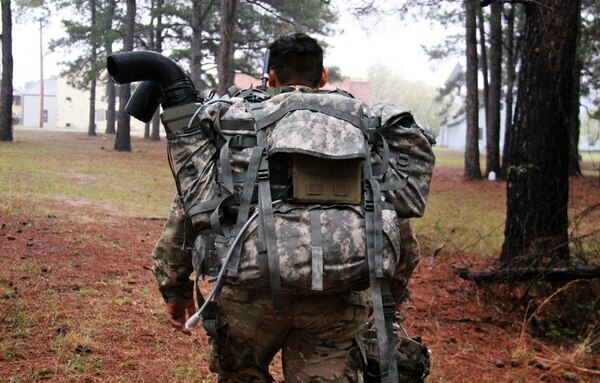 On top of all these advancements, the Army also is working on reducing what was 60 pounds worth of gear that previously was only used during mounted operations into a much lighter, man-portable package. Not the most convenient package to haul to the ground. The expeditionary Joint Battle Command Platform is a line of sight, two-way transmission that includes a tablet, battery, peripherals and a new fueled power source that allows it to run for more than 24 hours of continuous operations. Adjustments and replacements to the ruggedized computer, power source, transceiver and encryption device have trimmed the weight down to 23 pounds. Experimenters adapted a 1 L methanol power source to run the system but have also successfully experimented with windshield wiper fluid to run the system, McNeilly-Anta said.